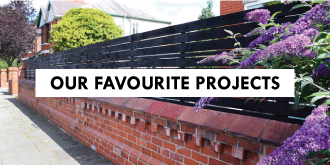 With so much messy building work going on around here (we’ve finally boxed in the steel beam between the kitchen & dining room and we’re doing some more work on our driveway – more on both of those projects soon!) it’s nice to occasionally take some time out and just make something fun. 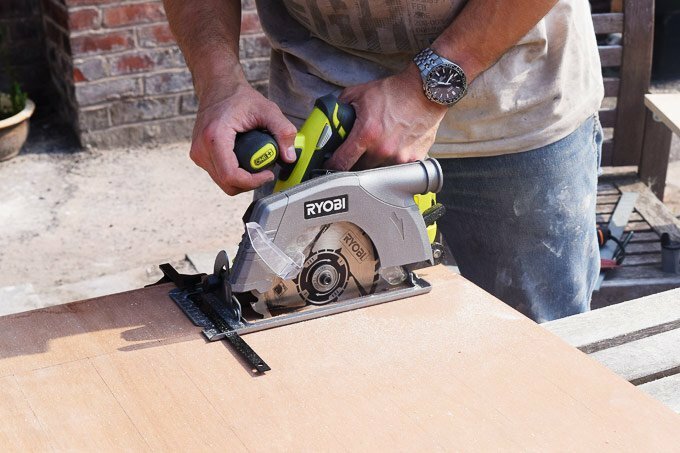 As we were recently sent some new tools by the lovely people over at Ryobi (thanks, guys!) 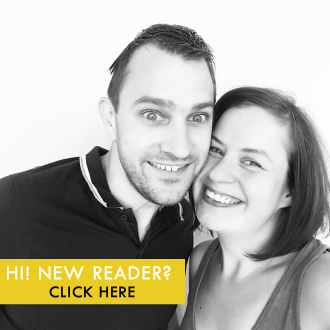 we, of course, had to take them for a proper test run! 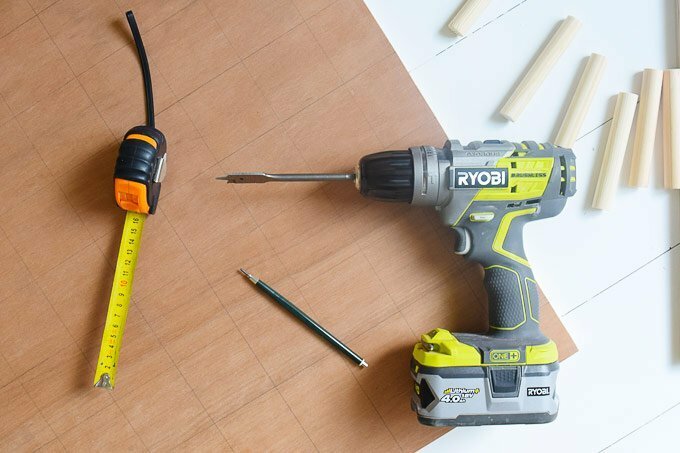 After all, there’s nothing quite like a new power tool to get us excited. So after a quick brainstorm, this is what we came up with. I’ve wanted a pegboard for as long as I can remember (and would still like another more traditional style one for all of our tools in the cellar) so it was an easy decision to try and build one ourselves. 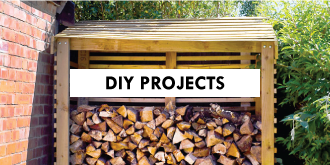 Making it was actually surprisingly easy and you don’t need many supplies or tools to make one of your own. 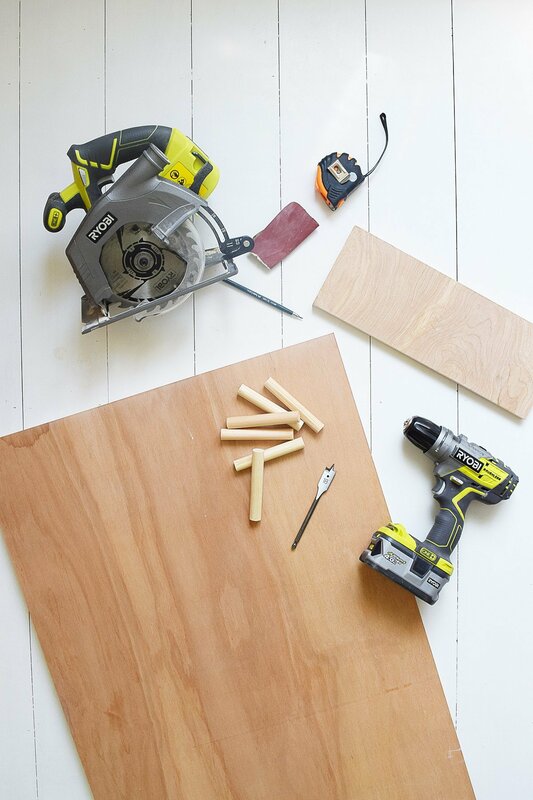 #1 Start by cutting the main board for your pegs to size with your circular saw (or depending on where you purchase your wood, you could get it cut in store). 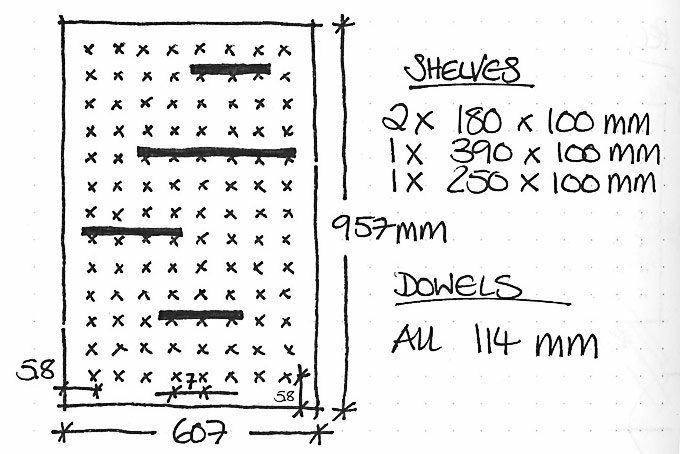 These are the measurements we used (we planned it around the size of the plywood board so we’d have as little waste as possible), but you can, of course, make it any size that you’d like. We then used the offcuts to make some shelves to attach to the pegboard which we also cut to size with the circular saw. 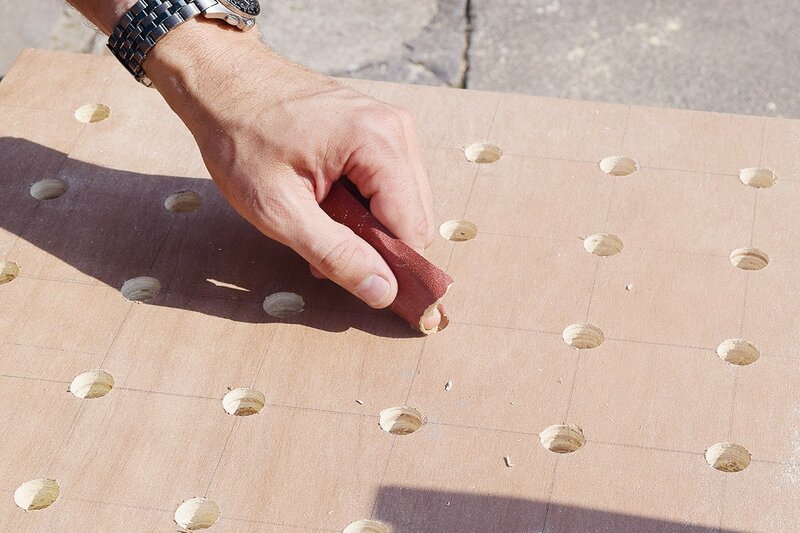 #2 Next measure the positions of the holes for your dowels. Our dowels are all 7cm apart (we left slightly less space to the edges of the board). We measured and marked a grid across the plywood – each intersection of the lines is where you’ll have to drill a hole for your dowel. #3 Now it’s time to drill the holes for your dowels. This is the trickiest part of this project as you have to drill the hole as straight as possible. We did this part of the project together. When Jan drilled a hole I checked that he was drilling as straight and level as possible and when I was drilling, Jan checked that I was drilling as vertical as possible. 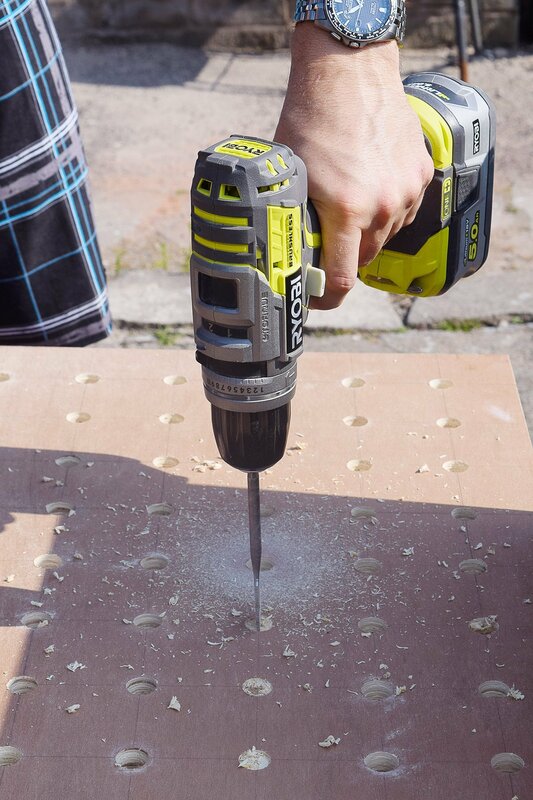 This is probably not the best way of drilling perfectly straight holes, but it worked well enough for this project. 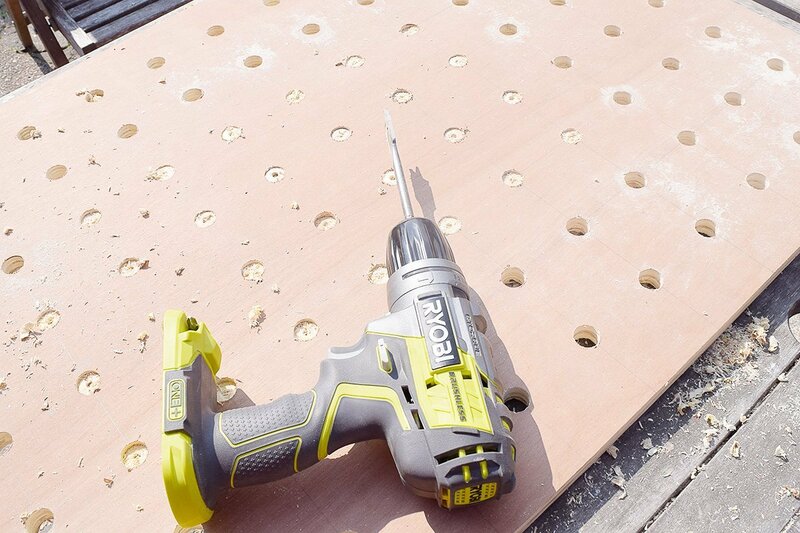 Drilling with a powerful drill and a really sharp flat wood bit definitely help to drill straight and clean holes. #4 After drilling all of the holes (if you make a board as large as ours it’s 104) give all of the edges a quick sand with some sandpaper to remove any rough edges. 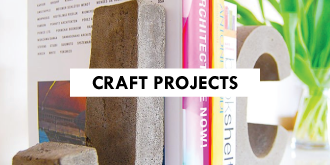 Don’t forget to sand the edges of your board and shelves, too. If you cut the holes the same diameter as the dowel it will be a tight fit, but it does mean that they stay firmly in place. 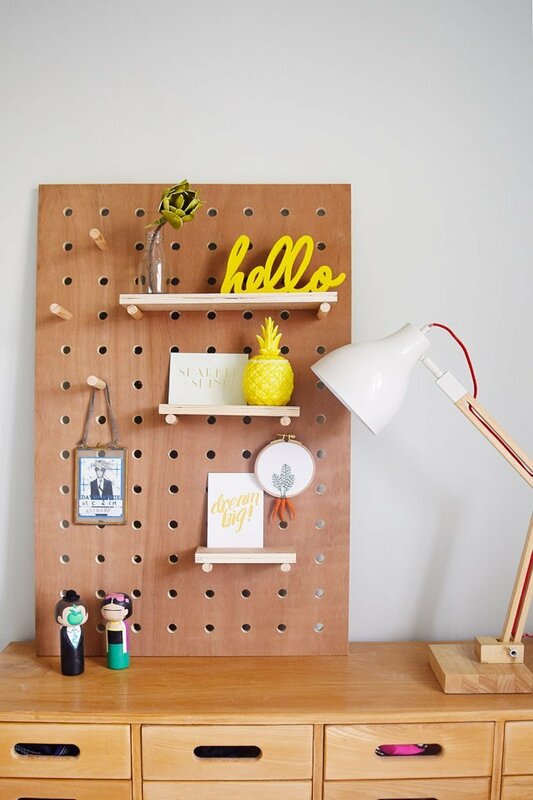 #5 Now all that’s left to do is clean away any pencil lines and assemble your DIY pegboard. Just stick the pegs into some of the holes, add a shelf or two and you’re done. 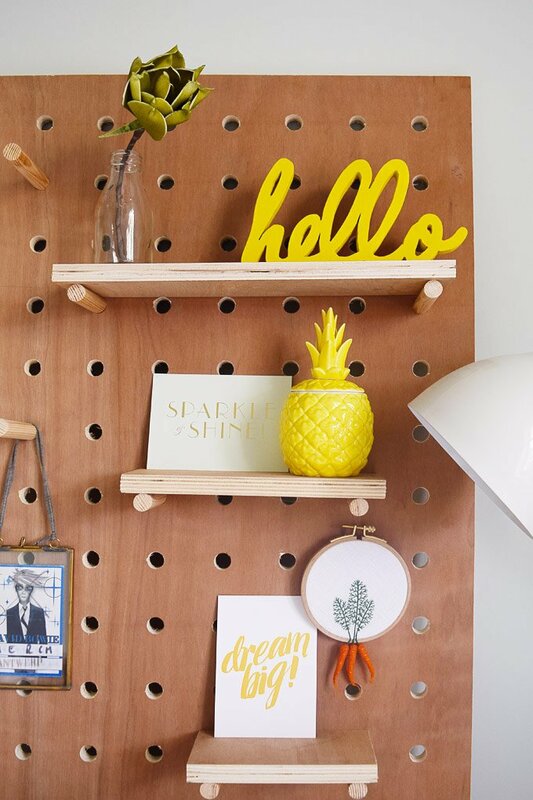 We decide to just lean our pegboard against the wall but you could attach it straight to the wall. Just bear in mind that it’s quite heavy even without you placing things on it. If you’re looking for a lighter version, you could probably use a slightly thinner board, but we wanted ours to be fairly chunky. 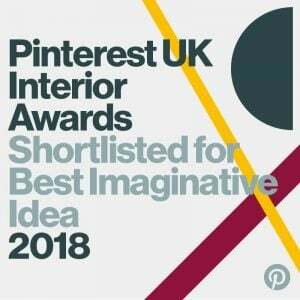 I love a project that helps me keep organised, although this one is definitely more for decorative purposes. Now all I need it to find some more pretty items to place and hang on it! 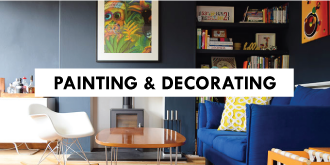 How do you distract yourself from messy building work? 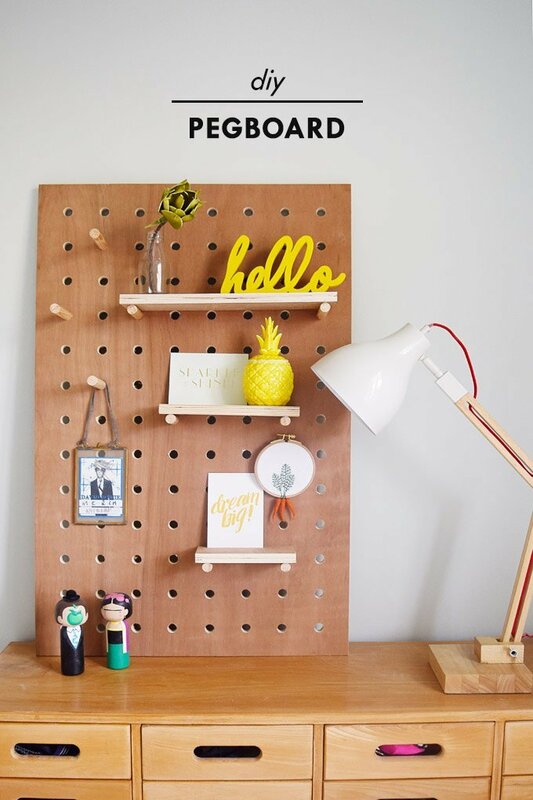 Do you love pegboards as much as I do? 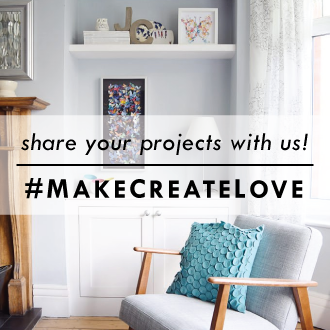 *Disclosure: This post is in collaboration with Ryobi who kindly provided us with the tools to complete this project. All opinions and thoughts are of course our own! Thank you for supporting the brands that make it possible for us to keep creating and sharing content here at Little House On The Corner. at different heights and I can hang treats on pegs. 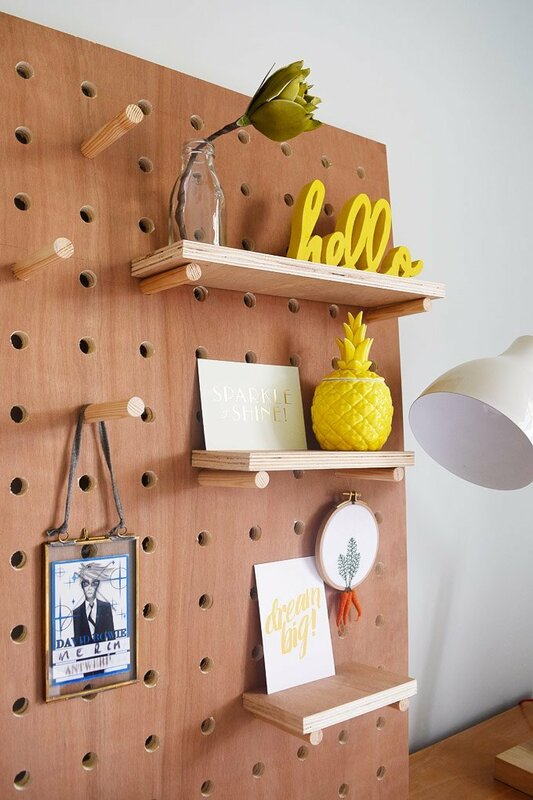 I love the idea of a pet peg board! It looks pretty and makes your pets happy! Liked the set of toys kept on the table. The Color & combination is beautiful too. You’re welcome! It was an easy project to make but do let me know if you run into any difficulties and we’ll be happy to help! We had no problem getting them in and just pushed them through the holes, Alex. Maybe you could try giving the holes a quick sand? Sorry I can’t be more help!